Before picking and eating (or even touching!) any plant, berry, mushroom or anything else you find growing in the wild it is vitally important to know what you are doing and to be able to identify correctly everything you find. The courses offered by the Wild Food Centre can help you benefit from Yun Hider's fifteen years of experience as a forager so that you learn to distinguish between edible, inedible and poisonous (or deadly!) wild produce. The images, photographs and drawings on this website are for illustrative purposes only. They are not intended as a guide to identification. 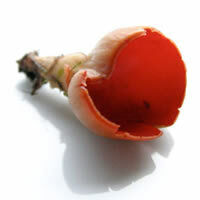 The presence of any image on this website should not be interpreted as implying any suggestion that the plant or item depicted is safe to eat.